Looking for gifts to celebrate your anniversary with him? 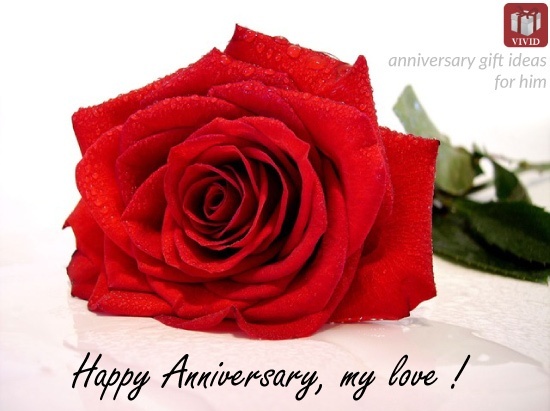 Read here for a list of sweet and romantic anniversary gifts for him. Ranging from men attire, men accessories, to electronics goods and more. 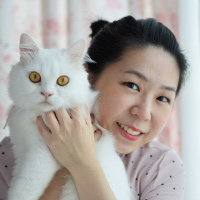 These 10 gift ideas are suitable as anniversary gifts for boyfriend/ anniversary gifts for husband. Let’s start looking at the list now! 10 Best Anniversary Gifts for Him. Matching jewelries set like necklace, ring and bracelet are romantic gifts that he will like. 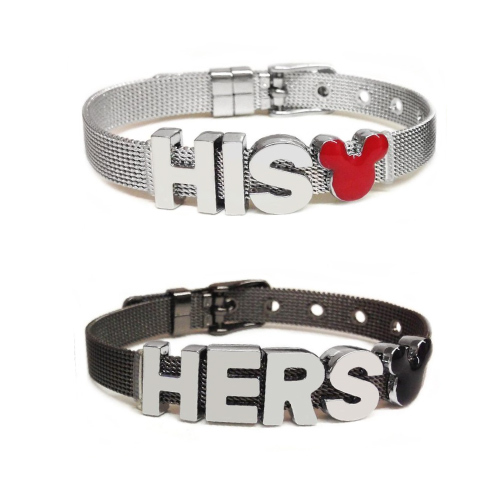 This set of Mickey and Minnie inspired bracelet set are great for young couples. Stylish and cute. Looks good on both man and woman. Elegant watch for men. By Sturling Original. 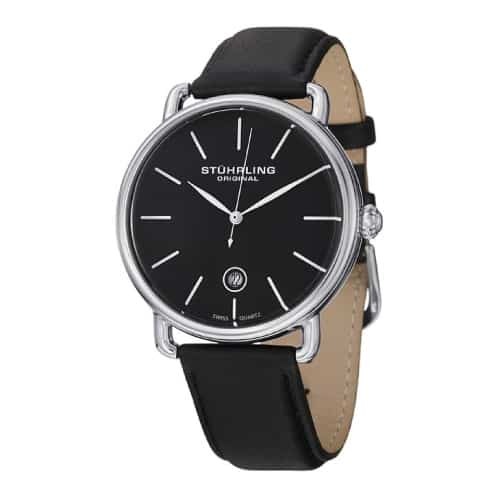 Sleek black dial face with black leather strap. Simple, sharp-looking, classy. An excellent timepiece that goes well with any style. Men enjoy luxurious leather goods like wallet, bag and business card holder. For the anniversary, you can get him a good quality bag. This Kenneth Cole Reaction bag loved by men is a decent choice. Made from rich cowhide leather, this bag is well-built with spacious compartment and comfy padded shoulder strap. Other features include: cell phone holder, pen holders, credit card slots, magnetic snap closure. One of the best anniversary gifts for men. A beautiful figurine to commemorate your special day. Hand-crafted by artish Susan Lordi from Kansas City. This sculpture is finely detailed and painted in clean colors. 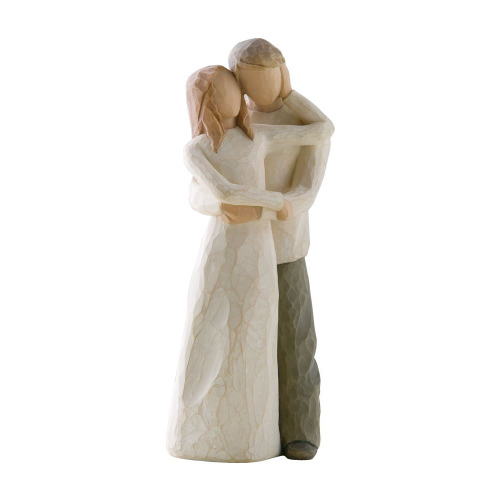 Simple with pure gestures, a lovely sculpture to depict the beautiful time you spend together with each other. 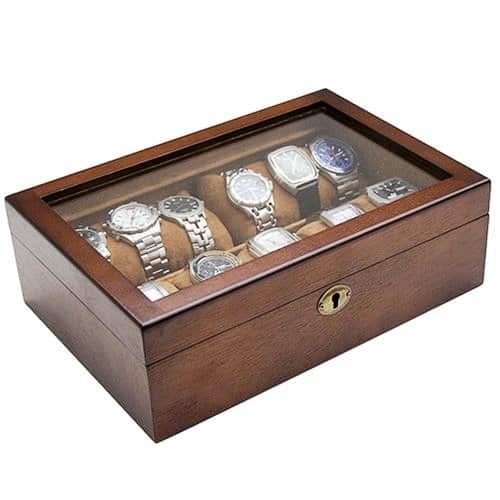 A classic-looking box for him to keep his watches. Featuring 7 removable squeezable cushions. 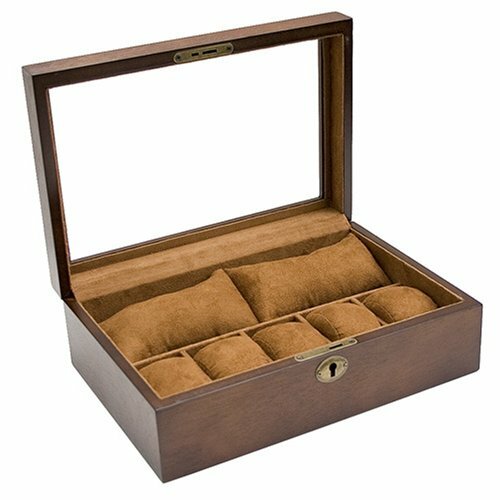 Fine vintage wood finish with a matching lock and key. Gorgeous way to display men accessories. Another leather goods that men will appreciate. Durable and good-looking. Made from genuine bridle leather with brass finish. A solid belt loved by men. Also available in black. Great gift for men – cool electronics gadget. A portable speaker with powerful 360-degree surround sound and 7 hours of playback. Innovative design, slanted surface for great pitch. This guy has fantastic sound quality, light-weight and ultra compact. This speaker comes in eco-friendly colorful reusable cup. Available in bright green, blue and orange. Feeling playful? You can get this adult board game to play with him. Private entertainment to spice up your relationship. Romantic with some naughtiness. A wonderful anniversary gift that he can’t resist. The last idea in our list of anniversary gifts for him is something fun that will get him laugh. A green color boxer shorts with amusing graphic. 3 white balls design with the words “Nice Balls”. Funny, isn’t it? What do you think? That’s the list of 10 Best Anniversary Gifts for Him. Hope this gift guide helps. We wish you to have a memorable anniversary day with him!